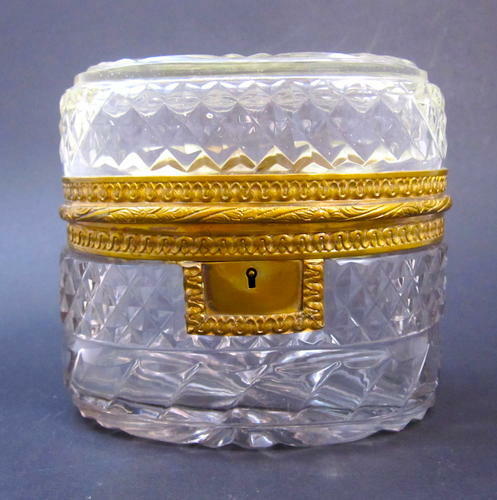 Antique French BACCARAT Cut Crystal Oval Shaped Jewellery Casket Box. The Crystal is Chiseled with Rows of Diamond Pattern and the Mounts are of Gilt Bronze Decorated with Foliage. The Lid is Decorated with a Hexagonal Star.